A transponder is an automatic electronic monitoring or control device that receives, cross-examines, amplifies and retransmits the arriving signal. It is primarily implemented in wireless communication. The word ‘Transponder’ itself is a combination of two words; transmitter and responder (occasionally abbreviated to TPDR, TR, XPNDR, and XPDR). A transponder works by receiving a signal on a component called “interrogator” since it effectively inquires for information, then automatically transmitting a radio wave signal at a predestined frequency. In order to broadcast a signal on a dissimilar frequency than the one received, a special component called the “frequency converter” is provided. By receiving and transmitting on dissimilar frequencies, the interrogator and transponder signals can be sensed concurrently. Transponder is also principally used as a re-transmitter due to the fact that it receives a definite signal from a specific source, then it amplifies (magnifies) the signal before sending it to a predefined location. Transponders have an abnormally large number of applications in various fields; satellite communication, aviation, marine, automotive, road, motorsport, underwater etc. They are also used in simple day-to-day tasks such as opening a car’s door wirelessly. The earliest implementation of a transponder was aboard an airplane during World War II, as component of the Identify Friend or Foe (IFF) system. By responding undisclosed interrogation frequencies, the airplane pilots could point out to radar operators that they were friendly airplanes. Transponders are also used to compute distance by evaluating the elapsed time between the transferring of a signal and acknowledgment of the transponder’s signal. For example, sonar transponders are used to locate undersea places, estimate depth, and trace locations. Transponders are basically of two types; active transponders and passive transponders. As the name suggests, these devices constantly emit radio signals which are tracked and monitored. These can also be automatic devices which strengthen the received signals and relay them to another location. An active transponder includes its very own power supply. The active transponder will constantly “ping” its recognition from time to time and the reader will listen for any transponders in the area. If the active transponder pings very frequently it will be detected quickly. Frequent pinging will eventually consume more power. If the transponder pings occasionally there will be a little postponement until it is detected, however the power will last longer. The benefit of an active transponder is that it possesses comparatively longer range. Sometime, this characteristic could also be a setback if the range is too big. The shortcoming of an active transponder is that they are bulky, expensive and have a comparatively short power life. These devices are so commonly used that we often fail to recognize them. For example, how do you think lap times of NASCAR and Formula One cars are monitored so accurately? The answer lies in the transponders which are embedded into the cars. Each car has a unique ID code which is transmitted as the car travels. A special cable loop is dug into the ground at the start and finish lines. When the cars zoom by the finish line, their IDs are recorded along with their lap times. These recorded times are automatically displayed on the position board along with split times, laps remaining and so on. Another significant implementation of active transponders is in satellite communications. Generally there are hundreds of thousands of tiny transponders embedded in a single satellite. These transponders receive an incoming signal over a range of frequencies (band), measured in Hertz and Megahertz and retransmit these signals on a different band concurrently. 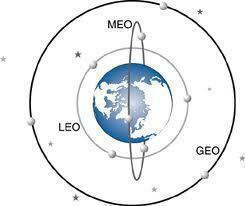 The incoming signal originating from a location on the earth (e.g. 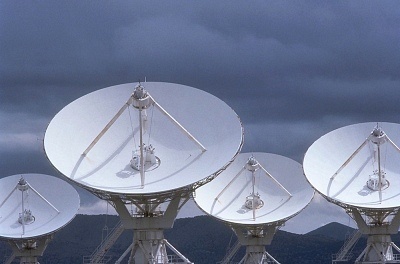 a broadcaster), is called the uplink and the outgoing signal back to the earth is called the downlink. The logic behind using satellites for this purpose is simple – as radio signals cannot curve along the curvature of the earth, they are sent in a straight line up and received down in a straight line. This reduces time of signal delivery and increases range. A passive transponder does not include its own power source. The passive transponder collects power from a close by electric or magnetic field offered by a reader. The reader cross-examines the neighboring field for transponders that may be in its proximity and stimulates enough power into the transponder’s electronic circuitry that the transponder becomes active and retransmits to the reader its identification ID as well as any added information required. The benefit of a passive transponder is that they are reasonably priced, small and they practically do not need a power change. The shortcoming of a passive transponder is that they have comparatively restricted range. It is perfect for an identification label that will be examined at close proximity. These transponders hold information which is used to identify particular objects. 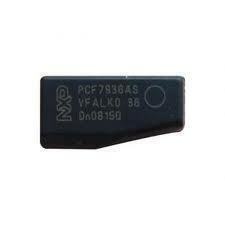 For example, passive transponders are sometimes embedded into our credit cards and on magnetic labels in large stores. These are paired with active transponders which amplify and transcribe the information. it’s a useful matter so nice thank u sooooooooooooooooooooo much. 268 queries in 0.307 seconds.